This is the place to kick a few tires, drink a few beers, and tell a few tales. OK, we all have our online identities here that show us owning these legendary pony cars that are the envy of all who see us cruising down the street. Some of us have other cool cars listed in our signature like late model Mustangs and GM products from the day. Here is the question, what car do you own today that you actively sought out (not that Dodge Omni your renter left in the driveway when he skipped town) that you have never mentioned here. I have three that my staff and others chide me for and yes I purposely sought them out and proudly own them. 1. 2006 F350 Crew Cab converted to a 12 Valve Cummins with twin Turbos and all the cool stuff. Yes, I admit it. I choose to have a Dodge Motor in place of a Gas V10 or Powerstroke and paid a hefty premium to do so. Both the Ford and Dodge crowd often look at me with disdain. 2. 2013 Chevrolet Volt. I am a believer... Bullet fast, handles like an older BMW, 150 MPG and almost free. I got this car last year at swapalease.com for $189 per month and it saves me $200 per month in operating costs considering almost no oil changes (once every few years) no repairs, very little fuel, (about $1 per day to charge it) and no depreciation. Because of cheap fuel and huge tax incentives to buy new models, these older models are dirt cheap. 3. 2003 Pontiac Aztek. My Mother is on a fixed income so I provide her with transportation. Years ago after she had both hips replaced she decided her 1984 Audi GT Coupe (I have a picture somewhere of me taking it to the prom) was too hard to get in and out of. She sheepishly requested I help her attain an Aztek with the tent attachment option. I said I was all in as the drive-train is a proven winner, parts are cheap and nobody will ever steal it! It works perfect for her somewhat active outdoor lifestyle (she lives in Hood River). Jay Leno says he thinks it will be a future collectible just as the Gremlin is today. I would actually consider buying one for myself if I could find a pristine Camo edition. Possibly the most hideous looking car ever made? It's in my tiny pic, but I don't think I've said this is my 12-second V6, delivered late winter 2011, and used year-round. Note this is a (ahem) different picture than in my signature (see front plate). All-time best was 12.74 with just drag tires/suspension, 12.34 with a 50 shot of N2O. I run in the local 12.50 Index series ("outlaw True Street") surrounded by trailered V8s. Change four tires and change them back at end of day. Great little winter car, too! Lacks toggle switches, I need a '67 or '68 XR-7 badly. 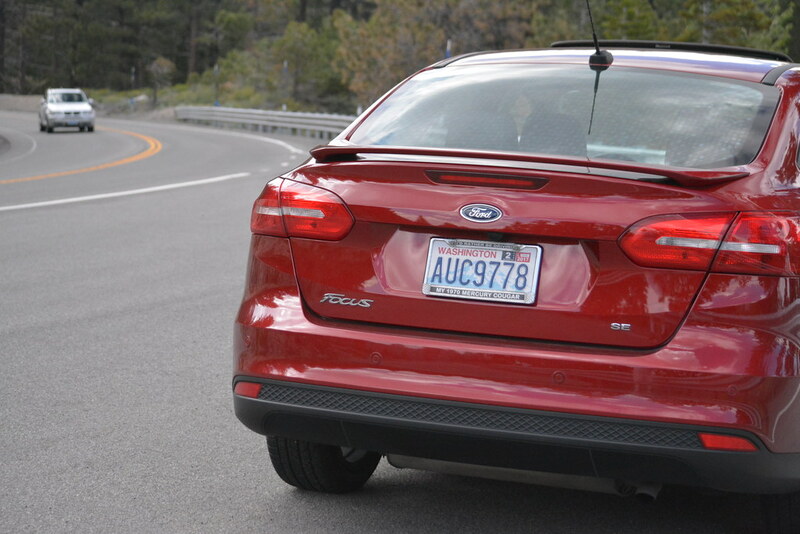 2016 Fusion SE 2.5 4-door sedan. Guard (green) with a Dune (Tan) interior. This was a difficult color combination to find as it seems over 90% of in-stock Fusions have black interiors and are black/silver/gray/white on the outside. I was looking for a Bronze one but went for the green when I saw it on the dealer's lot. Nice to see a picture of the Fummins. $12,780 sticker, just over $14K out the door. 31-32 MPG on a regular basis, pretty nice OEM stereo, PS, PW, PB, 5 speed. Added rims, rear hatch spoiler, middle arm rest, floor mats, OEM alarm. Jay Leno says he thinks it will be a future collectible just as the Gremlin is today. Wow, AMC Gremlin's are now collector cars? Back in the day I owned a 1973 AMC Gremlin. Best dam little beater car I have ever owned. Ran it into the ground more than once and she still kept on going. Hauled numerous parts (engine/transmission/rear axle)in the back and she never gave up. [3. 2003 Pontiac Aztek. My Mother is on a fixed income so I provide her with transportation. Years ago after she had both hips replaced she decided her 1984 Audi GT Coupe (I have a picture somewhere of me taking it to the prom) was too hard to get in and out of. She sheepishly requested I help her attain an Aztek with the tent attachment option. I said I was all in as the drive-train is a proven winner, parts are cheap and nobody will ever steal it! It works perfect for her somewhat active outdoor lifestyle (she lives in Hood River). Jay Leno says he thinks it will be a future collectible just as the Gremlin is today. I would actually consider buying one for myself if I could find a pristine Camo edition. Possibly the most hideous looking car ever made? Pontiac Aztek was Walter White's car of chose(Braking Bad). (I remember the Audi GT your mom had). 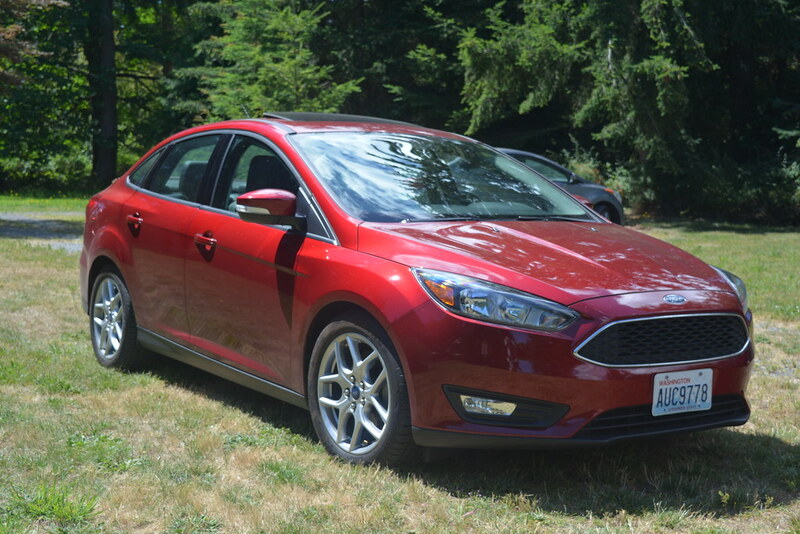 My daily driver is a 2015 Ford Focus SE, Loaded with a lot of creature comforts. It is not as inexpensive as Don's Volt, but at over 40 MPG on the open road it is not bad. (Picture taken in my yard). I do have a cool license plate trim ring...(picture taken in Nevada). I also have a 2006 Ford Ranger XLT 4X4. It has been a great little parts haler. My mother still has the Audi, went to find a random pic on Google and found her actual car!!! It is listed at a site called "Old Parked Cars". Judging by the amount of dirt under the car, I would say it has been parked for a long time. I am flying to LA tomorrow to pick this one up. It is a 26,000 mile 2001 Lincoln Continental with the 32 valve V8 used in the Mustang Cobra (slightly detuned to 275 HP. It is one owner grandpa car. Not too bad for $4K.